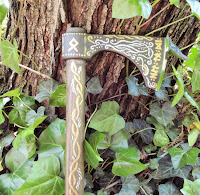 Recently, a dear friend and a devotee of Odin gave me a wonderful gift: a bearded axe! Not only a bearded axe, but the first real axe I have ever owned. 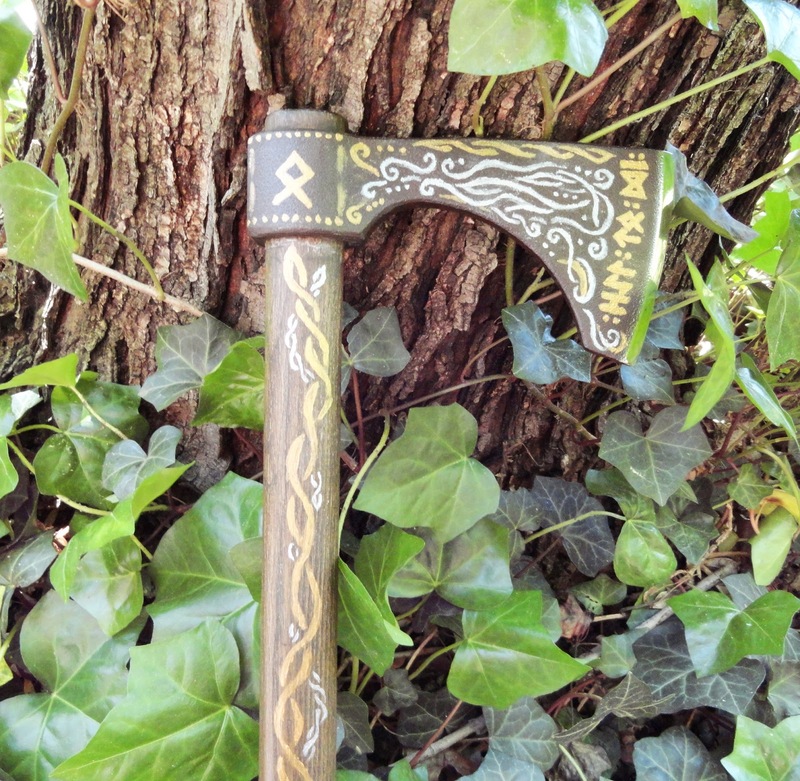 I can't quite count my camping hatchet, with with its blade on one side and a hammer on the other, as an honest "axe." 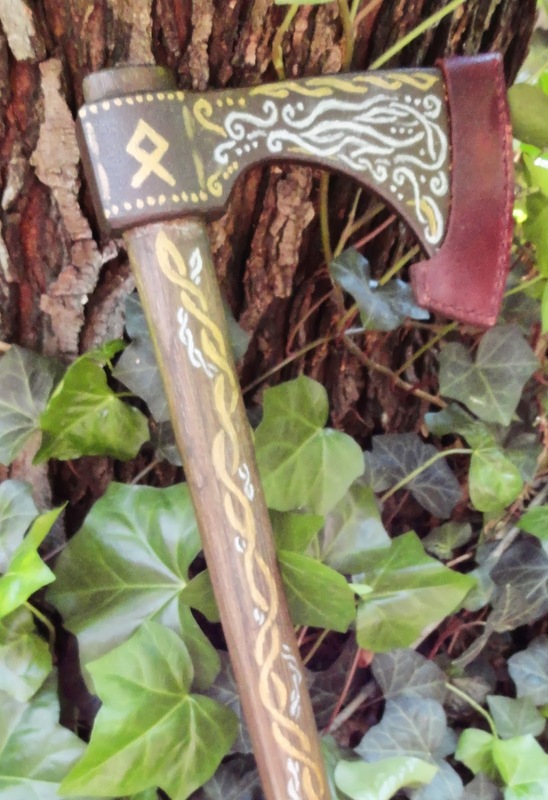 I am in the process of adding knotwork to this lovely weapon to honor my fulltrui Forseti. The first side is complete, but the second side will have to be painted later. I am using gold and silver acrylics: they are forgiving to a point, as they can be washed off at first. Once they dry, however, you have what you have. The artwork on the blade is intended to be a reminder of water. I was very fortunate: I didn't think to check the fit of the leather cover before I started painting, but it actually works perfectly with the overall design despite my lack of planning. Small favors indeed. The first side has the Othala rune, which I associate with Forseti and the inheritance of law; the other side will most likely bear a Raidho rune. At the risk of being redundant here.... That's so beautiful!